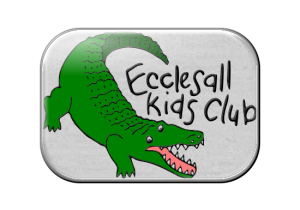 Ecclesall Kids Club Breakfast Club and Out of School Club provides healthy, nutritious and balanced food and drinks. Food and drinks are safely prepared with regard to the dietary and religious requirements of the children in our care. We ask parents to notify us regarding any special dietary requirements or allergies when they register their child and to update this when it changes. Information regarding food allergies is recorded on the Allergy Information Board which is visible to staff whilst food is being prepared and photographs of all children with allergies and their specific requirements are available near the food preparation areas..
We select our snacks based on the Government School Food Standards. We are fortunate to have some experienced school cooks and kitchen staff who work in our clubs. Staff responsible for food preparation, handling and storage have received appropriate training. This includes the use of gloves where appropriate. We promote good hand hygiene amongst the children and dispel myths such as the 10 second rule if young children to try to eat food that has fallen on the floor. We never knowingly buy food containing nuts though we always bear in mind that manufacturers will not always guarantee their products are nut or allergen free. We provide suitable healthy snacks for all the children, we understand about allergies and take this into account in the choices we have available. Children are encouraged to develop good eating skills and table manners. All children are given plenty of time to eat. Where appropriate, children are involved in planning and preparing food and snacks. Fresh fruit is available at all sessions. Withholding food is never used as a form of punishment. Staff discuss with children the importance of a balanced diet where appropriate. The Club does not regularly provide sweets for children. We limit access to fatty or sugary foods. Children are never forced to eat or drink anything against their will. We survey or children and parents to seek their views on our menu and add new items where appropriate. Wraps with ham, chicken or cheese, cheese and crackers, beans on toast, soup, noodles, pasta, fruit loaf, malt loaf, scones, fruit, yoghurts, fresh crudités e.g. cucumber, peppers, tomato and carrots, a selection of these will be available. Choices are dependent on what the children prefer at each club.